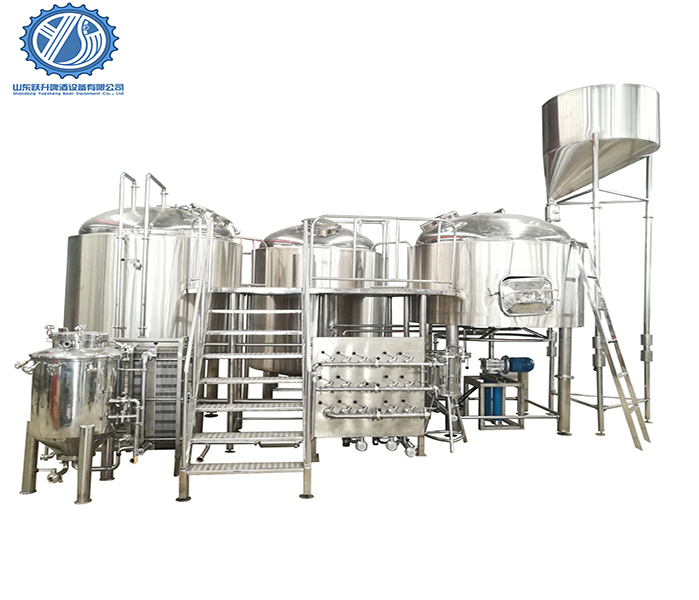 Mash/ lauter, kettle, whirlpool, hot water tank, the rake will have hydraulic lifting device. -Heating method: Electric heating, steam heating and gas heating. -Heat exchanger: Double or single stage plate heat exchanger. 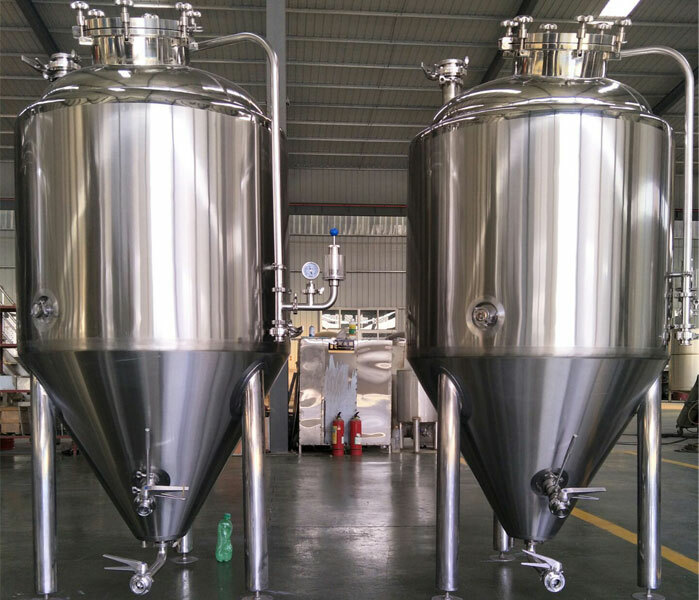 -Fermentation tank: SUS304, conical vertical tank ; Test pressure:0.3Mpa, working pressure: 0.15Mpa; Dimple type glycol cooling jacket,thickness is 1.5mm; Top safety valve, Side manhole door, Rotary CIP spray balls, temperature sensor, Sample valve, Mechanical pressure valve, Pressure gauge, Glycol solenoid valves, Stainless steel legs with screw assembly to adjust legs height,Complete with associated valves and fittings. 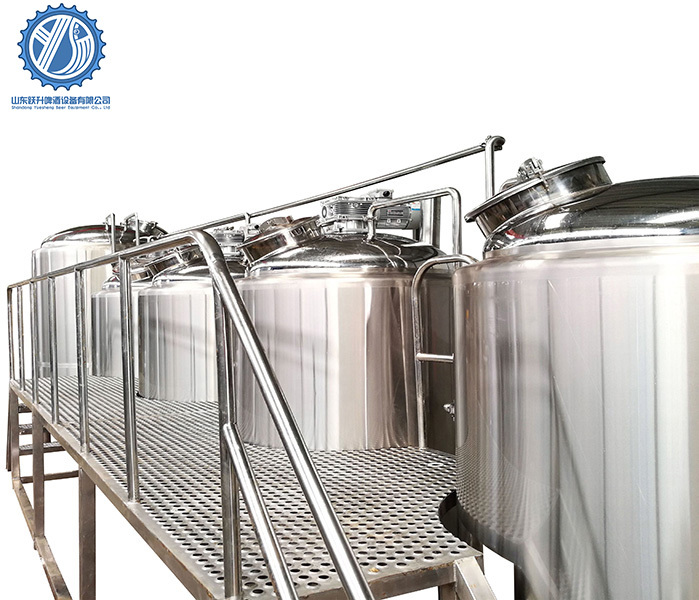 Optional: bright beer tank, yeast adding tank etc. -Glycol wtaer tank, chiller, Associated valves and fittings. 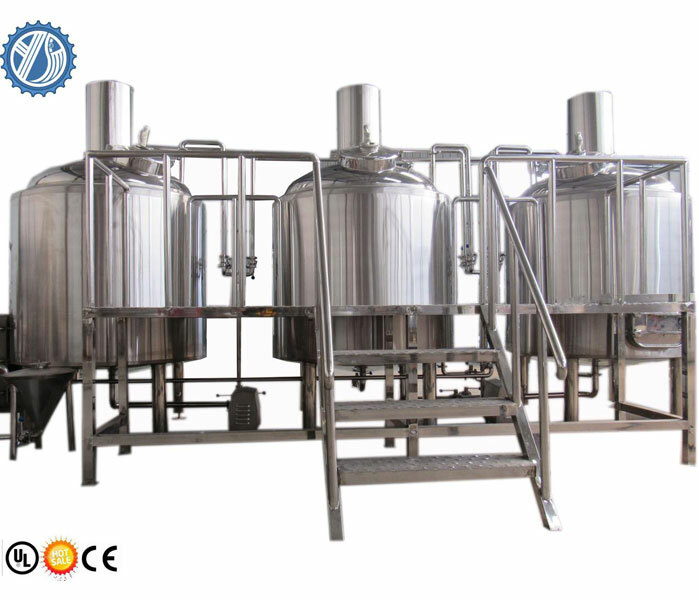 -Sanitizer Tank, Caustic Tank. Associated valves and fittings etc. Fermentation tank with digital controller.